"We're still kind of exploring it," Rob Pardo told Polygon. "We've got builds up and running on it. We're hoping to get it far enough along where we can make it an official project, but we're not quite ready to release stuff about it, but it's looking pretty cool." Lead designer Jay Wilson echoed Pardo's sentiments, saying that Blizzard is only "exploring console options". "The whole team is essentially working on the next big Diablo thing," Wilson said. "A lot of that stuff will show up next year at some point." 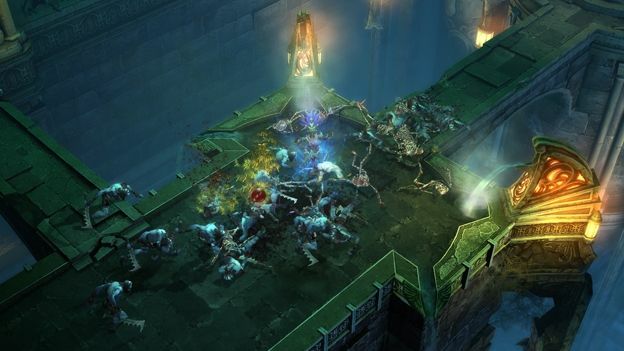 Blizzard has confirmed it has more expansion packs in the pipeline for Diablo III, which should be due out next year.